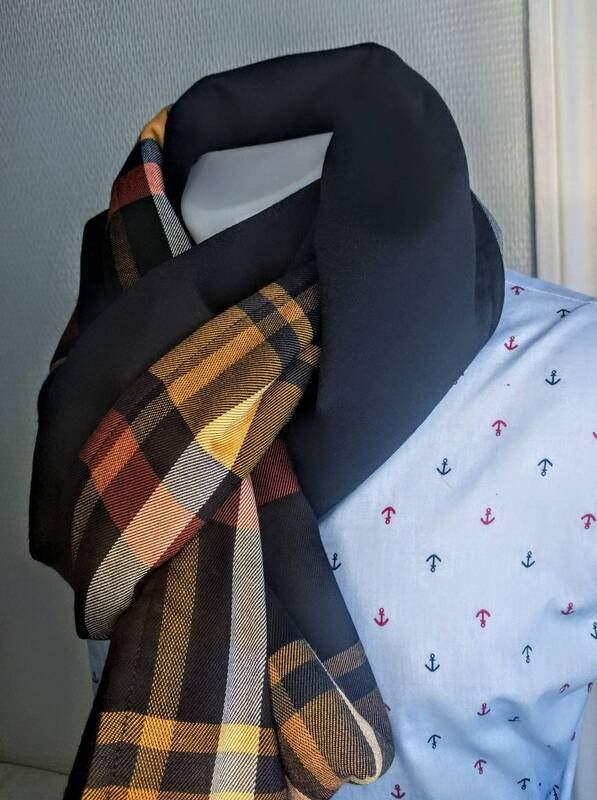 🧣 here a snood, which is a circular scarf. 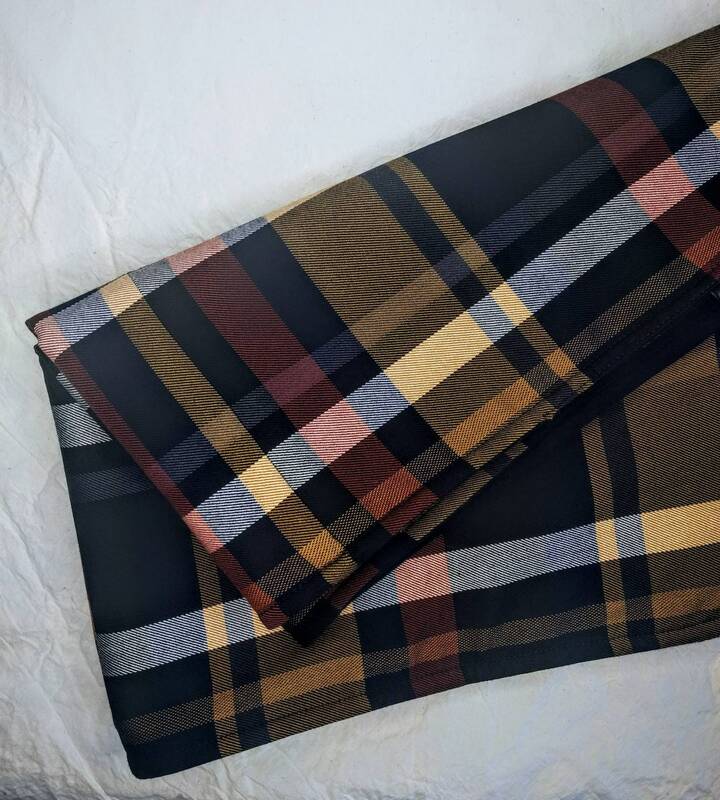 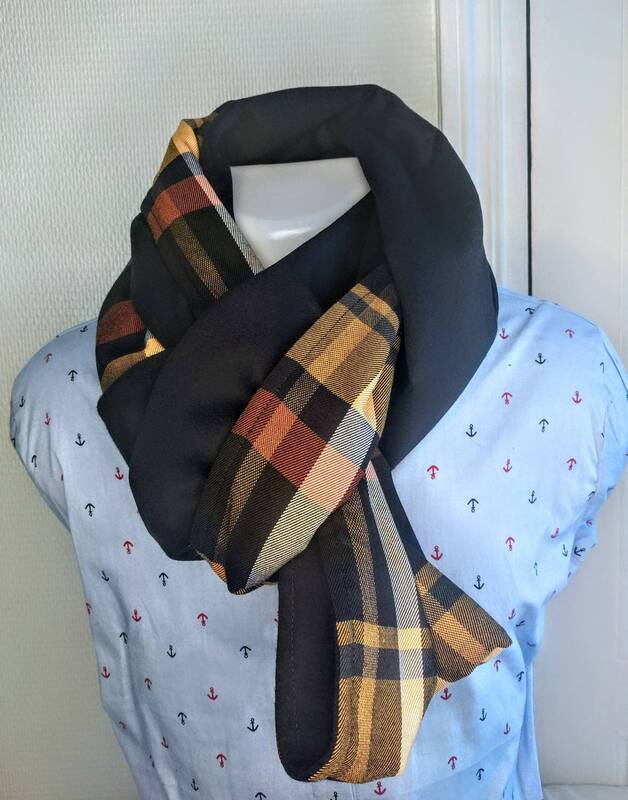 This one is polyester to the touch very soft Plaid patterned black, Navy Blue, mustard, white and Burgundy, lined with fabric 100% cashmere blue marine. 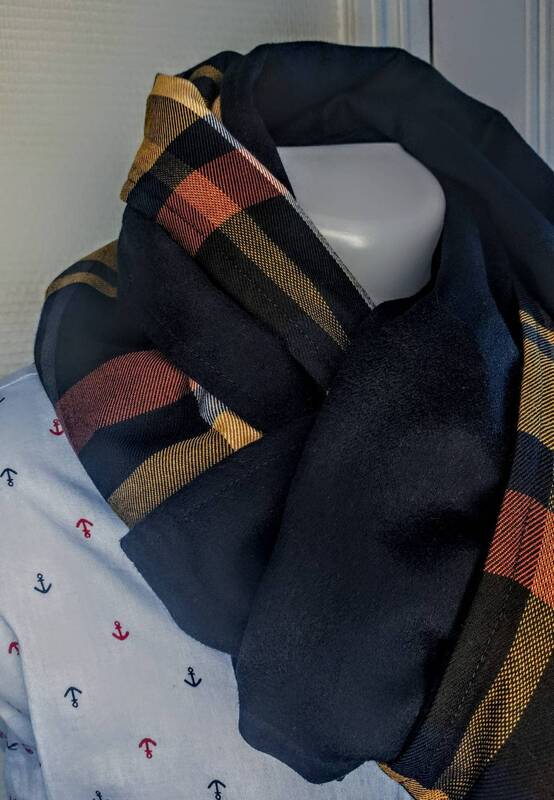 This cashmere is thick enough, the depiction of this scarf is large and will keep you warm from the bottom of neck to the ears. 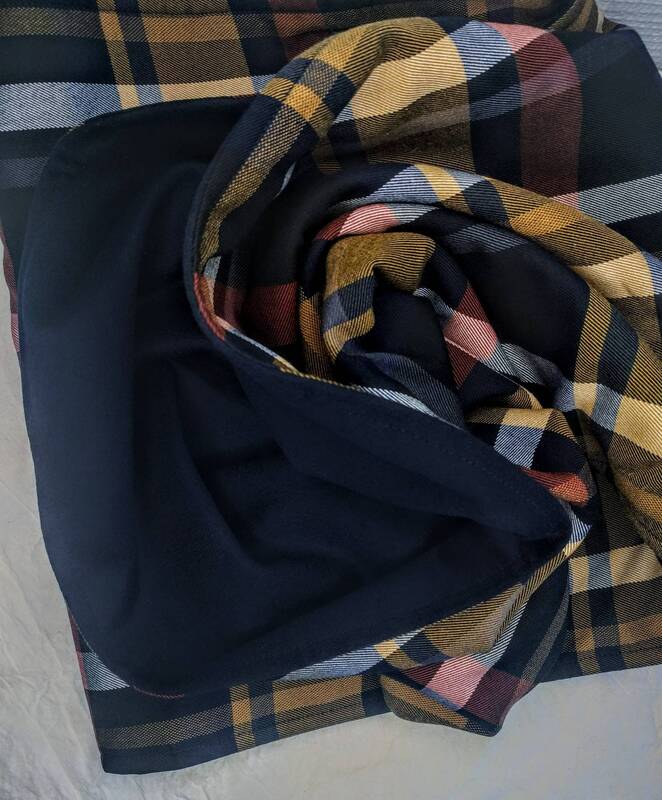 I recommend strongly to your scarf dry cleaned to preserve the quality of cashmere.